Finance capabilities are an abstraction of what accounting and finance function does and can do. We are using the term “Finance Capabilities” to represent the construct of business capabilities – as in the world of business architecture. The finance capabilities represent the holistic set of mutually exclusive and collectively exhaustive set of the capabilities in the “Record to Report” value stream. A comprehensive list of finance capabilities, which is structurally sound and internally coherent is a finance capabilities map. A finance capabilities model, in turn, is an integral part of an overall enterprise business capabilities model. So, what are other types of “Finance Capabilities” people keep referring to? Let’s look at the terms “Finance capability” “Financial Capability” “Financial Competency” and “Financial Capacity” and see how the terms are very different based on the context and the perspective of user and the use case. “Financial Capability” may refer to an organization’s liquidity, solvency, and an ability to raise, deploy, and service capital flows (debt or equity.) “Financial Capability” for an individual may refer to his/her net worth and the ability to take on and service debt (for example, a mortgage). This may also be considered the “financial capacity.” “Financial Competencies” refers to an individual’s skills in the area of finance and accounting spanning technical, strategic, leadership, and collaboration skills. Alternatively, if you speak with performance improvement experts or F&A transformation experts, their reference of finance capabilities may reflect their worldview – which is how to a) optimize the finance and accounting processes and b) reskill and upgrade the competencies and skills of finance and accounting workforce. If you are looking for the Finance and Accounting capabilities from an “Individual” “Organizational Development” and “Performance Improvement” perspectives, this is not the right article for you. However, if you are interested in the structural decomposition of accounting and finance function into a logical grouping of finance capabilities (an essential and integral part of the capability modeling function within Business Architecture discipline), please read on. What is the financial capability of a company? A simple answer may be how a company raises and deploys resources and how it keeps track of the cash flows. But when someone is thinking about a financial capability in the business architecture sense, the perspective is about “the abilities” or “what” the finance function does. Intuitively, we all know what accounting and finance capabilities are but often find it difficult to lay them out in a structured manner. 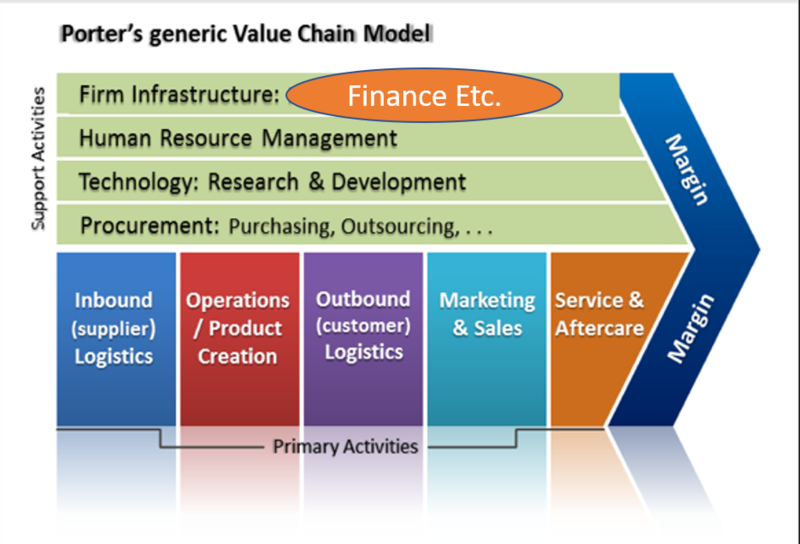 As an example, in a typical value chain diagram, Finance and Accounting capabilities may find a presence as one of the supporting capabilities. In an enterprise map, depending on the company and the complexity of its business landscape, accounting and finance capabilities may be a Level 1 capability or in some cases, it may go underneath the Corporate Shared Services alongside HR (Human Resources) and other such functions. 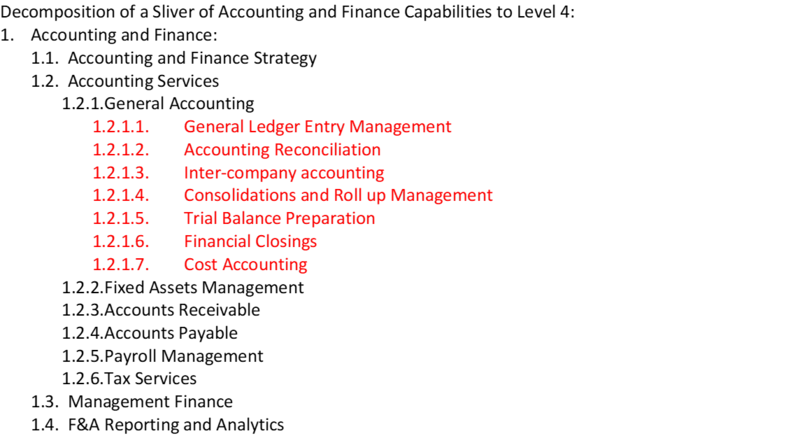 Decomposition of Accounting and Finance Capabilities to Level 2. Let’s consider the example finance capability, the “Accounting Services.” Now taking the “Accounting Services” finance capability and drilling down further will yield capabilities at a lower of granulated within that grouping. For example, see the decomposition of the “Accounting Services capabilities” from 2.2.1 to 2.2.6. Aren’t Finance capabilities one box in an enterprise business capabilities model? Typically, yes, many business architects place “Finance” as one box in a capability model or at least decompose it one additional level. While this two-level finance capabilities map may serve as a foundation and as an executive discussion material, it does not represent the operational and IT enablement level granular details. So, the best practice for documenting finance capabilities model is to decompose to level 3, 4, or 5 as necessary based on the intended purpose and the use cases. 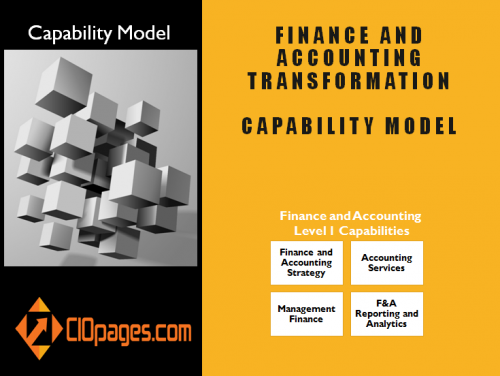 CIOPages.com Finance Capabilities model is a sample straw reference model and comprises of 125 accounting and finance capabilities at various levels of granularity. It is not a question of volume, but what you wish to use the resulting finance capabilities matrix. For example, if you wish to show an executive that you understand the scope of the accounting and finance function, a level 2 decomposition might suffice. If you are trying to map the capabilities to features and functionalities of the F&A software platforms, then levels 3, 4, and 5 may become essential. Similarly, if you are evaluating vendor platforms for enabling the finance function, a detailed finance capabilities matrix will be necessary. Why do we need a Finance Capabilities Model? Why is a financial capability matrix important? For many reasons. If you are a company in the throes of change, you will need a finance capabilities model to anchor your finance transformation. A well-thought-out list of finance business capabilities, an integral part of the overall business architecture, is a critical deliverable valuable in many use cases. The use cases span strategy, operations, and technology-enablement, among others. Regulations, competition, and expectations from the finance function are higher than ever before. 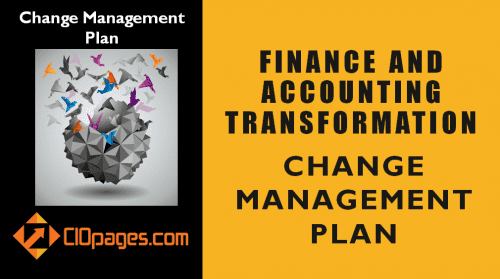 So, to excel in this era of mega shifts, a finance capabilities model will help in getting your arms around what finance does. A finance capabilities model can help in translating the accounting and finance strategy into action. Based on capability prioritization and importance, budgets can be allocated to where finance can move the needle for the enterprise. We are in the era of real-time The finance function needs to perform the record to report service expeditiously and support strategic decisions to foster a real-time enterprise, Knowing what capabilities to be real time or near real time will allow adequate technology enablement and process improvements. Business and technology do not speak the same language. A finance business capability model can be the common lingua franca. 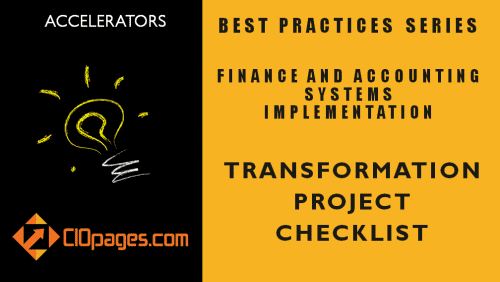 Finance transformation projects without a capability model as a foundation tend to veer toward a bunch of projects with a disparate set of requirements. A capability-based transformation roadmap helps provide the guard rails and guideposts for the implementation. A finance capability list helps in conducting a capability-based vendor evaluation for the finance and accounting functions. How do you build a finance capability matrix or a Finance Capabilities Model? 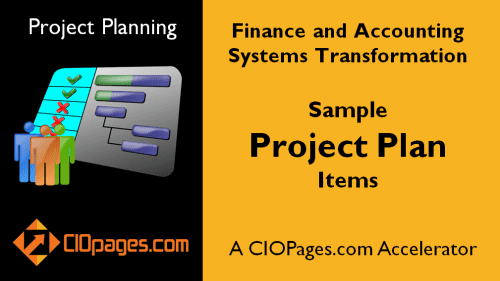 There are many ways to create a finance capability matrix or list. One is to create from scratch. Another is to buy a pre-built and customizable finance capabilities model. 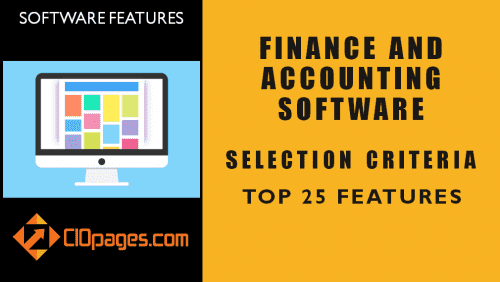 Another option is to co-opt capabilities (or abstracting features and functions to manifest capabilities) from an integrated and comprehensive Accounting and Finance software platforms. While option one – of creating one from a blank slate – may be more of a fit for purpose finance capabilities framework, it also will take the longest and involve tremendous effort and iterative refinement. On the other hand, the second and third options will accelerate your path and reduce the completion time and the number of iterations. Buying a customizable finance capability map is a catalyst and an accelerator. Depending on the state of business architecture and capability modeling in your enterprise, you may choose any of the available approaches. The digital and cognitive technologies are reshaping the finance and accounting functions. While core functions remain the same – you still need to post a ledger entry and work on a financial close – how the functions operate, the value-added services which are being offered, and the way the function is enabling business agility and decision making is a new frontier. Covering the Core: The following are the core digital finance capabilities that should be in place, even without the more advanced capabilities. Financial Data Management: Getting the data to be accurate and make it available on time is a critical and fundamental step. For companies that have grown too fast or thru inorganic means, it is challenging to get the data piece right. Financial Close: Financial Close is often a herculean task in many companies with employees and consultants scrambling to meet the deadline. A streamlined finance close process is also a foundation for other advanced capabilities. Finance Organization Structure: An organization chart that is stable with various competencies and skills, organized based on the core value streams is another critical success factor. Shared Services Excellence: Whether outsourced or insourced, operating a set of shared services efficiently and effectively also is a pillar of a successful finance function. Compliance: Legal, risk, and compliance should not be an event, but a routine process. With an alphabet soup of regulations spread across different agencies, getting compliance right is tough, but necessary. March to the Cloud: The cloudification of finance is an important leap forward for streamlining the finance and accounting functions, as well as getting closer to real-time finance. The cloud enablement of finance capability is perhaps the foundation for the rest that follows. Many companies, including new generation platforms like NetSuite or Workday, and the old stalwarts such as Oracle and SAP have cloud-enabled their finance software. Data-Driven Decision Making: Gut feel and instinct are not enough to make decisions that determine whether a company survives or thrives. Data-driven decision making builds on the tenets of business intelligence and financial reporting, including dynamic dashboards, mobile reporting, and other such competencies. Iterative Forecasting: Hitherto, forecasting was a long, convoluted, and once-a-year process. Now in the digital age, iterative forecasting, simulation, and scenario analysis power the finance decision-making. Enterprises need first to get the basics right and then elevate the finance function to meet the challenges of the digital age. Do you have a finance business capability map? How else have you used it in your finance transformation and optimization? 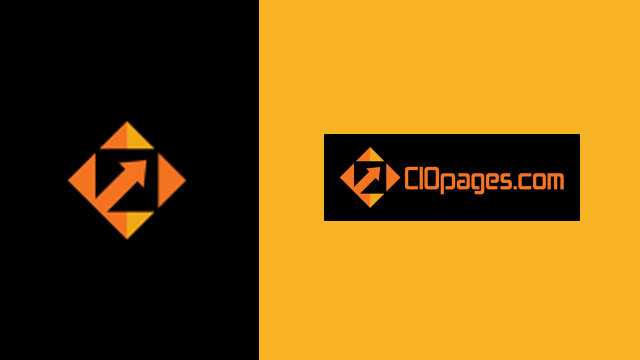 If you need a pre-built, customizable finance capabilities model, please consider CIOPages.com accounting and finance business capability model. The finance capability model is available in PDF, PowerPoint, Excel, and Word formats for ease of use and application to various use cases. If you need help customizing the financial capability map, please contact CIOPages.com consulting services.